Financial Insurance you can count on. Since 1957, Theodore Liftman Insurance, Inc. has focused exclusively on providing financial insurance that is tailored to the individual requirements of investment services firms. The investment services is not one-size-fits-all. It’s an industry in which relationships, longevity, stability, expertise and personal service matter — all of which are reasons why Liftman Insurance stands apart as a leader. 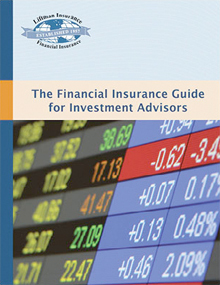 This brief and informative guide provides a valuable overview of the insurance landscape for investment advisors. 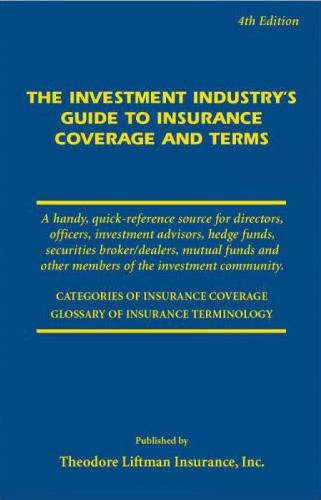 A handy, quick-reference source for members of the investment community. 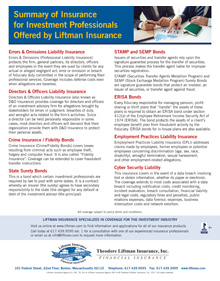 Download to learn about the products offered by Liftman Insurance.